Looking for reliable clothing and textile factories in Vietnam? Then keep reading. In this guide, we explain what you must know about importing clothing from Vietnam, including product categories, prices, MOQ requirements and payment terms. What kind of Clothing & Home Textiles Can I Import from Vietnam? 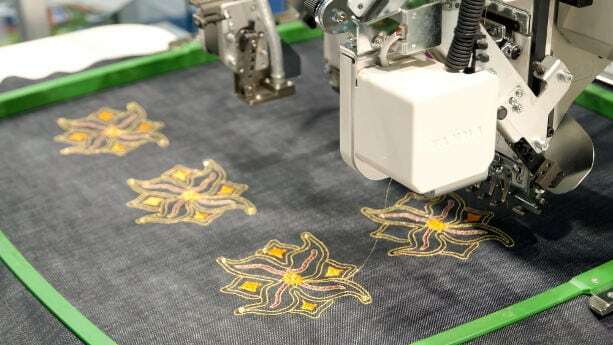 Vietnam, a country of 92 million, is home to textiles manufacturers in almost any niche. The ecosystem runs deep, and also covers more advanced fabrics and components. That said, many Vietnamese suppliers import certain materials, such as Velcro, from China. This can result in longer lead times when developing new samples. Below follows an overview of some of Vietnam’s leading clothing and textiles manufacturers. Keep in mind that some of these suppliers only work with larger brands. Further, we are not affiliated with any of these companies. Thai Son S.P Sewing Factory is one of the major sewing and clothing factories situated in Ho Chi Minh City, Vietnam. The factory is known for producing a wide range of garments using circular knitted fabrics and ladies dresses made with ponte roma fabric. Established in 1985 as a family owned business, the factory currently has more than 600 employees and 883 advanced machines. The current director of the company is Mr. Thai Van Thanh. In addition, you can also choose from a wide range of women, men, and children’s styles. They also have number of sustainability and quality certifications that include Adidas, SA 8000, BSCI, Oeko-Tex, and ethical sourcing certificate from Target, one of their major Australian client. They currently have two factories located around the Ho Chi Minh City with a production capacity of 200,000 shirts per month. They export garments to the US, Europe, Canada, and Australia. Some of their well-known clients are Target Australia, Malu Belgium, Baon Russia and Erin London USA. The minimum production quantity they offer is 2000 pieces while average production lead-time is between 60 to 150 days. Thygesen Textile Vietnam Company Ltd is owned by Thygesen Textile Group, which is a Denmark based company. Established in 1931, the head office of the Thygesen Textile Group is based in Ikast, Denmark, but the Thygesen Textile Vietnam Company Ltd is based in Hanoi, Vietnam. Formerly known as Thygesen Fabrics Vietnam Company Ltd, Thygesen Textile Group established the factory in 2004. Thygesen Textile Group also owns factories in the USA, China, Slovakia, and Mexico. The company also has multiple certifications that include Oeko-Tex 100, BSCI, SA 8000, WRAP and ISO 9001:2008. In addition to the above listed products, the services offered by Thygesen Textile Vietnam include ODM, OEM, FOB, and One-Stop-Shop solutions. The average production lead-time is between 8 to 12 weeks depending on the quantity and order type. Also known as FGL, Fashion Garment Ltd is considered as one of the leading apparel exporters in Vietnam. With 8400 employees and 4 manufacturing facilities, it is also one of the largest manufacturers of export quality garments. FGL was founded in 1994 and its head office and manufacturing locations are based in Dong Nai province. It is a subsidiary of Hirdaramani Group, which is a Sri Lanka based company founded in 1891. Hirdaramani Group owns factories and subsidiaries in Sri Lanka, USA, and Bangladesh. Their clients include some of the well-known apparel brands like Levi’s, Converse, Hurley, Jordan, and Hush Hush. They also have multiple sustainability and quality certifications including LEED Gold and Platinum certification by the US Green Buildings Council. They’re the first apparel manufacturer in Vietnam to receive this certification. 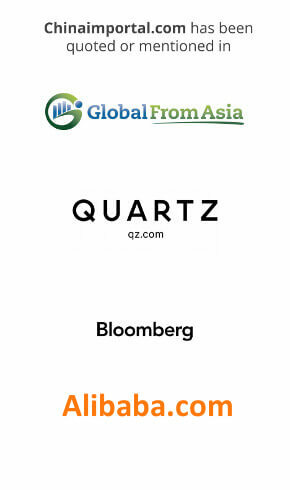 Quickfeat International Limited is a global garment sourcing and manufacturing company with its manufacturing units located in Vietnam, Hong Kong, India, and China. It also has sales offices located in USA, UK, and other parts of the world. Quickfeat was established in 1994 as a subsidiary but in 1998, it became an independent company. The head office is based in Hong Kong, but they also have a large manufacturing unit in Vietnam. They specialize in men’s and boy’s apparel. In addition, they also offer services like fabric & trim sourcing, garment development, garment sourcing and production, quality control, packing, logistics, and shipping. All of their factories are Gore-Tex certified since 1998. In 2016, their factories have also completed High Facility Environmental Module (Higg FEM) certification. United Sweethearts Garment is a subsidiary of MWE Holdings Berhad (founded in 1970), which is a Malaysia based company. The subsidiary, United Sweethearts Garment, was established in 1984 in Malaysia but in 2002, they also started manufacturing units in Vietnam. United Sweethearts Garment (Vietnam) Co, Ltd has manufacturing plants located in Dong Nai and Dong Nai Phase 3. They’re mostly known for their sports and casual wear products. Some of their clients include Nike, Under Armour, Lacoste, Primary, PVH, SANMAR and many more international brands. United Sweethearts Garments offers a wide range of products as listed below. They’re also certified by WRAP for quality and sustainability. Vert Company was founded in 2006 as a one-stop-solution for international clients for their production needs. They’re most known for their high-quality contemporary outerwear and entirely handmade products. The head office of the company is situated in Hanoi, while the manufacturing factory is based in Kim Trang, Bac Giang. They also have a sales office in Bussum, Netherlands. Their most popular products include casual wear, outerwear, and trousers. Vert Company also has multiple quality and sustainability certificates including SA8000 and BSCI. LTP Vietnam Co. Ltd was founded in 2008 with a goal to produce high-quality active functional garments and sportswear for international clients. The factory and head office of the clothing manufacturer is based in Ho Chi Minh City. LTP Vietnam Co. Ltd is a subsidiary of The LTP Group, which is a global clothing and furniture manufacturer based in Denmark. The LTP Group has 10 factories located in Belarus, Ukraine, Lithuania, and Vietnam. The head office of the parent company is situated in Copenhagen, Denmark. The company has more than 1,600 employees. The garments produced by LTP are GOTS and IVN certified. There are a few local supplier directories in Vietnam, but I find it way easier to source Vietnamese textiles factories on Alibaba.com or Globalsources.com. 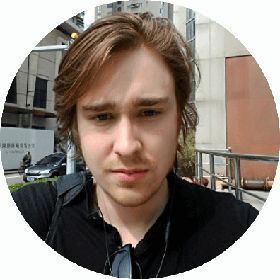 Alibaba.com allows you to search suppliers based on the country. Thus, you can limit your search to only suppliers from Vietnam. For example, the keyword ‘T-Shirt’ provides a list of more than 2200 suppliers on Alibaba.com, most of which are based in China. However, if we limit our search to Vietnam, we get a list of 292 t-shirt suppliers. That’s a decent number of suppliers to work with. Globalsources.com also has a ‘search by country’ function, but the number of Vietnamese textiles manufacturers is much lower compared to Alibaba.com. Both trade shows are held in the Saigon Exhibition & Convention Center (SECC), in Ho Chi Minh City. Wholesalers tend to offer lower MOQs. This is appealing to small buyers, looking to purchase less than 300 pcs in total. While there are textiles wholesalers, and wholesale markets, in Vietnam – you need to be aware of labeling issues. Wholesale textiles are generally not compliant with EU, US or other labeling requirements. It’s extremely rare that ‘ready made’ wholesale apparel in Vietnam are made specifically to comply with American clothing labeling requirements. Hence, you need to make sure the goods are re-labelled before shipment. This also applies to importers in the EU, Canada and Australia. Is it cheaper to import textiles from Vietnam compared to China? Vietnamese factories make less than half of their counterparts in Mainland China. This does have an impact on the unit price. Especially as the textiles industry is built on manual labour. That said, you should not expect product prices to correspond directly with the salaries. Electricity, water, taxes and materials still make up the bulk of the production cost. 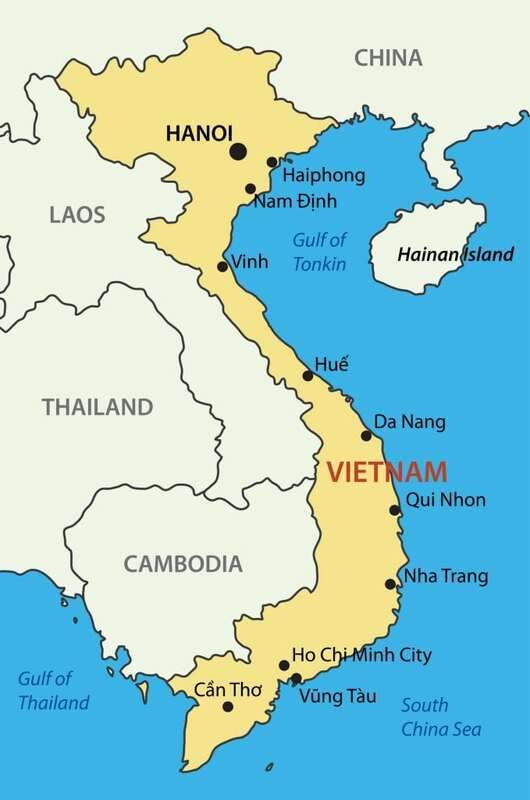 Here, the gap between Vietnam and China is not as big. Further, many materials used in the textiles industry are not even made in Vietnam. Hence, clothing and textiles factories often import Velcro and other materials from suppliers in China. The standard mass production time is generally 35 to 50 days. Keep in mind that Vietnam also celebrates the lunar new year holiday (called Tet), which effectively shuts down the country for around 2 to 3 weeks each year. How do I communicate with Vietnamese suppliers? Vietnamese is the official language of the country, but the number of English speakers is surprisingly high. As such, you will not have any issues communicating with your suppliers sales reps and export managers. Just keep in mind that they speak it as a second language. Don’t use slang words or other terms that will be lost in translation. Further, WhatsApp and other apps are not blocked in Vietnam, making it easier to call your suppliers or get regular status updates from the factory floor. Now that you know the basics of importing textiles from Vietnam, it’s time to look into the practical 5 step process. Vietnamese textiles generally don’t develop their own ODM products. In other words, they don’t have a glossy catalog with nice looking designs for you to choose from. They expect you to provide that. You can also send a reference sample. But, treat a reference sample as a compliment the your Techpack, not a replacement for it. Before you go ahead and place an order, you must test that the supplier can actually make the product. Hence, you must order a countersample, based on your techpack and reference sample. I suggest that you buy samples from at least 3 or 4 suppliers. You can safely assume that the fail rate is around 50%, so you want to be sure that you have plenty of backup suppliers if one of them fails to either deliver a sample or match your techpack. In my experience, Vietnamese suppliers are not faster or slower than those in China. That does, however, mean that that they can be pretty slow. Expect a sample development time of 1 to 3 months, depending on the complexity of the product. Vietnamese clothing and home textiles manufacturers don’t have higher or lower MOQ requirements, than those in other countries. Some suppliers accept orders from only 100 pcs per design, fabric or color. Others require 1000 pcs, or even more. You can negotiate the MOQ with your supplier, but don’t try to push the number too low. If you’re based in the United States or the European Union, you need to make sure that the apparel don’t contain excessive amounts of restricted chemicals and heavy metals. Such chemicals and heavy metals include formaldehyde, AZO dyes, lead, cadmium and mercury. Many Vietnamese suppliers are aware of these regulations, but not all are. Before you place an order, make sure to ask your supplier if they can ensure compliance with REACH and California Prop 65. If not, you are better off looking for another supplier. As I already mentioned in this article, Vietnamese clothing and home textiles suppliers don’t necessarily keep track of foreign labeling requirements. When importing textiles from Vietnam, you need to provide a ‘ready made’ label file to your supplier. This label must, of course, include the mandatory textiles information (i.e., fiber composition and care instructions) in the destination country. Most suppliers prefer .ai or .eps formats for label files. You can’t return defective products to your supplier. Hence, you need to be sure that the products are ‘okay’ before you pay the balance, and order shipment. Luckily, there are many quality inspection companies operating in Vietnam, including our partner Sofeast Limited. In other words, you don’t need to fly to Hanoi or Ho Chi Minh City (Saigon) on your own. Inspections in Vietnam tend to be slightly more expensive than in China. Expect to pay around US$400 for one quality inspection. If you need to get your ‘Made in Vietnam’ product lab tested, you can either instruct your supplier to send samples to a facility in the country. Or, to a laboratory in Hong Kong or Mainland China. Do you want to import textiles from Vietnam? ====>This is not correct at all. So many big manufacture more than list out. Please contact me to get our company profile to see what we have. Yes, there are of course more manufacturers in Vietnam than those we list in this article. We never claimed that we list all textile manufacturers in Vietnam. well am from India i visited your website this morning thought to mail you regarding about cloths queries , how to start with cloths business India if your suggest me regarding about business that would be really help i wanted to start small step. I read about Vietnam product and i would like you to list some cloth manufacturing company that produce good quality. We do list several suppliers in this article. However, there are no “good quality suppliers”. They make according to your tech pack, be it “good or bad quality”. That’s for you to decide. How do I order factory overrun branded kids wear like Gap, H&M, old navy, ralph lauren etc? This is Mashilo Seanego from South Africa, i have been wanting to import clothes from Vietnam. i am actually operating small shop but my stock is always limited as i get clothes from local suppliers. I am interested in distributing and selling Fashion ware and active sports ware, golf and T-Shirts. As a small company willing to grow big and faster in clothing distribution, please advice. The MOQs in Vietnam are fairly high (around 1000 leap meters of fabric per color). As such, it’s hard for a clothing store to buy small volumes directly from factories in Vietnam. For brands it’s different. Hi I am interested in importing good quality ladies clothing from Vietnam. Yes in bulk. In to South Africa. Kindly give me co contact details of manufacturers. I need to know a manufacture in Vietnam that can help me sew graduation gowns for University. Please recommend. My name is Nora and my email is noraaziz@gmail.com. I am from Kuala Lumpur, Malaysia. I am looking for manufacturer that can supply me good quality, athletic medical scrubs suit. do u have a list of manufacturer?